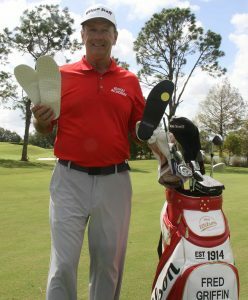 Renowned golf instructor Fred Griffin is teaming up with Upstep to help develop and promote custom orthotics for golfers. An early adopter of the product, Griffin — a Golf Magazine top 100 teacher — will be involved in the development and testing of the next generation of Upstep’s unique custom golf orthotics. The company introduced a first of a kind product specifically for golfers in June. The Upstep custom golf orthotics allow golfers to avoid foot pain while enhancing their energy, supporting natural movement, stabilizing posture, and improving their dynamics and enjoyment of the game. 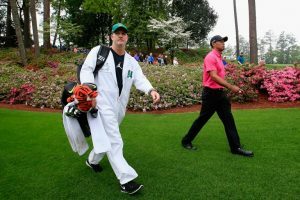 Designed by world-class podiatrists, the online service for golfers is the latest segment of the market Upstep has entered with prices that represent a 30%-50% savings over the direct purchase from podiatrists. 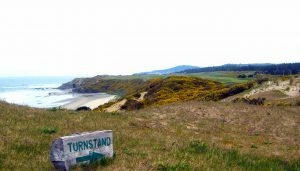 Griffin will be joining Oren Geri, Upstep’s golf market director. 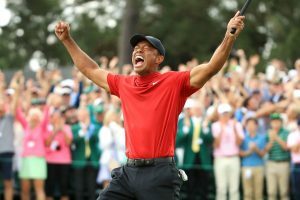 Geri is a former Israeli golf champion and a familiar face to the American public due to his participation in two seasons of the reality show Big Break. Upstep was founded by siblings Limor Katz, Aviad Raz, and Oren Raz. The company lets customers anywhere in the U.S. get fitted with top of the line custom orthotics. Delivery is quick and the service guarantees full customer satisfaction. Through the Upstep service, orders are made on two available platforms. On the online platform, customers order the orthotics online and receive the footprint kit at home. The customer then follows the simple instructions to make a foot imprint and sends it back tothe company, prepaid. Upstep uses 3D technology to scan the footprint. The orthotics are custom designed by a top podiatrist, based on each customer’s unique specifications. The technology also offers a platform that takes various work or athletic factors into account in order to meet the individual customer’s needs. All the process is done from the comfort of the golfer’s home. The second purchasing platform utilizes golf pros and retailers. The golf retail platform enables a "hands on" fitting process, where the golf coach, pro or fitter are involved and aid with their input and their student's foot impression. The orthotics, produced by advanced manufacturing methods with innovative materials, are sent directly to the customer’s home.